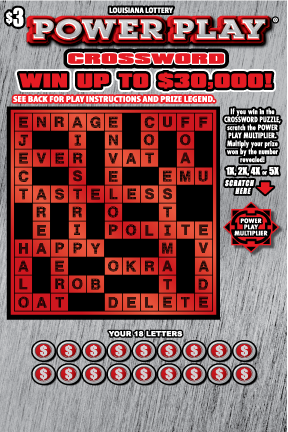 Scratch every letter in the crossword puzzle grid that matches each of YOUR 18 LETTERS. 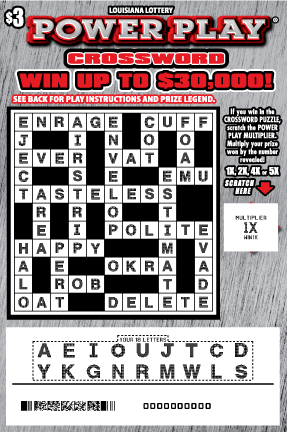 Uncover 3 or more complete CROSSWORDS in the CROSSWORD puzzle and win the corresponding prize in the PRIZE LEGEND. 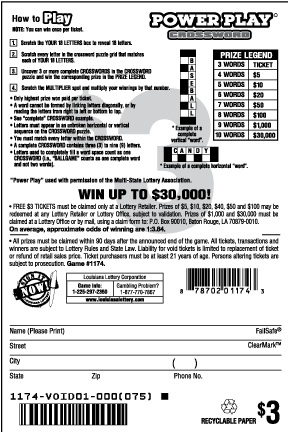 Scratch the MULTIPLIER spot and multiply your winnings by that number. NOTE: You can win once per ticket.